Please use this form to contact Sunset Laboratory. Your privacy is important to us; your information will not be shared with outside parties. Required fields are indicated in a red asterik *. Our scientists can analyze quartz-fiber and glass-fiber filter samples from an extensive array of sources and for a wide variety of applications using Sunset Laboratory instruments. We use careful system control and continuous monitoring of the optical absorbance of the sample during analysis. This prevents any undesired oxidation of original elemental carbon and corrects for the inevitable generation of carbon char produced by the pyrolitic conversion of organics into elemental carbon. Our quartz filters are pre-fired and then packaged in Petri dishes or cassettes, and are ready for sample collection. 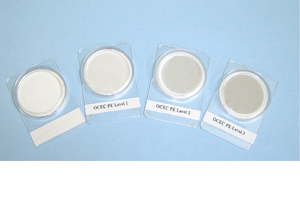 We offer 25mm, 37mm, or 47mm filters in Petri dishes. We also offer 37mm filters in three-piece plastic cassette samplers. For any size of filter in the petri dishes, the cost is $6.00 per filter and there is a minimum quantity of 10 filters per order. For the 37mm filters in the plastic three-piece cassettes, we accept minimal orders of 5 and charge $10.00 each. Filter orders can usually be sent out the day after the order is placed. For ordering or information please contact us. 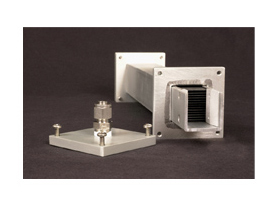 Our Parallel-plate Carbon Filter Denuders remove semi-volatile organic carbon vapors. Without Denuders, absorption artifacts will be present on a following quartz filter. The Lab OC-EC Aerosol Analyzer is the industry standard for environmental and workplace monitoring. This instrument uses a proven thermal-optical method to analyze for OC-EC aerosols collected on quartz filters. It is the basis for NIOSH Method 5040 and is fully compliant with the IMPROVE protocol. It features a new and improved microcontroller and data acquisition system for enhanced accuracy and precision. There is no comparable instrument on the market today. In the Lab OC-EC Aerosol Analyzer, samples are thermally desorbed from the filter medium under an inert helium atmosphere followed by an oxidizing atmosphere using carefully controlled heating ramps. A flame ionization detector (FID) is used to monitor the analysis. 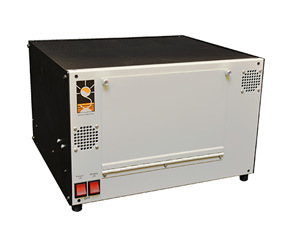 Our proven low dead volume carrier gas control system and proprietary quartz oven design provide high sensitivity with ultra low carbon background and no oxygen contamination. The Model-4 Semi-Continuous OC-EC Field Analyzer features the latest advances in electronic and optical technology, and is rack mountable! This rugged and compact instrument offers sensitive and reliable field operation with an optimized oven and detector design. Its access panel allows for easy filter service and calibration. New safety mechanisms and inline pressure regulators offer superior flow control. 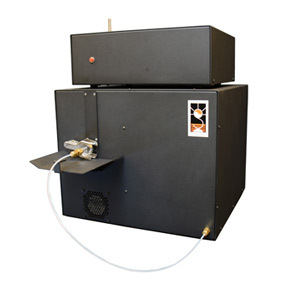 This instrument is the only commercially available field deployable OC-EC analyzer with true laser-based pyrolysis correction and compatibility with accepted NIOSH 5040 and IMPROVE methods. It has a computer controlled flow system for enhanced sensitivity and fast analysis times. It also has a reduced need for support gases. 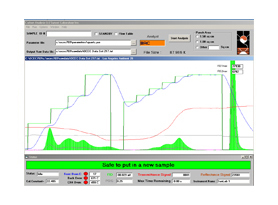 The Model-4 Semi-Continuous OC-EC Field Analyzer has been extensively tested at several EPA super-sites and demonstrated excellent sensitivity, compared with other co-located integrated filter sampling systems. Sunset Laboratory instruments and testing services are designed to meet the needs of air quality scientists around the world. Successful air quality monitoring programs depend upon precise and accurate time resolved measurement of particulate organic and elemental carbon. Our instruments are engineered and manufactured with a level of precision unparalleled in the industry. Our scientists offer prompt and accurate testing services and superior customer service. We are happy to install and maintain instruments, as well as provide quality assurance. With instruments in over 30 countries , Sunset Laboratory is unmatched in experience with OC-EC instrumentation and measurement techniques.